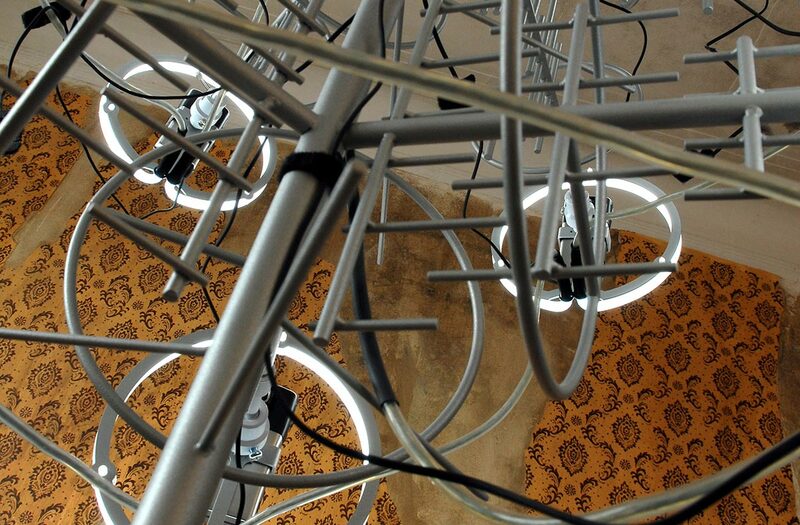 design and construction of an interactive installation. 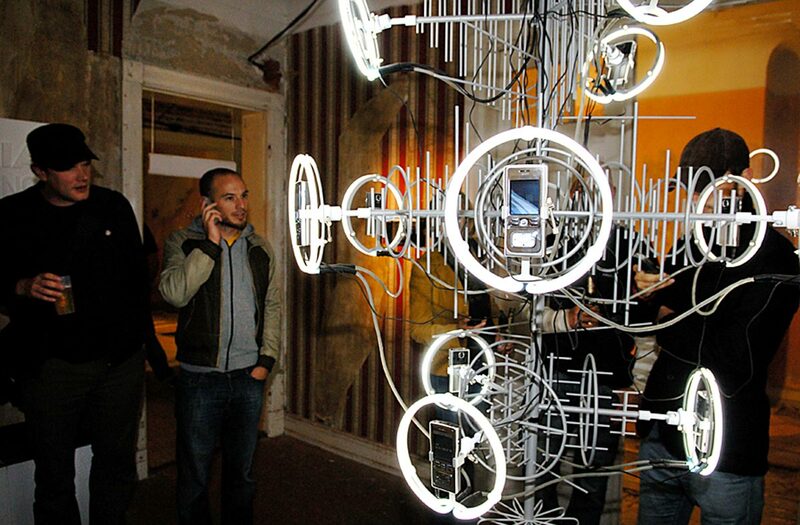 Twelve nokia mobile phones are placed inside an antenna-shaped chandelier. 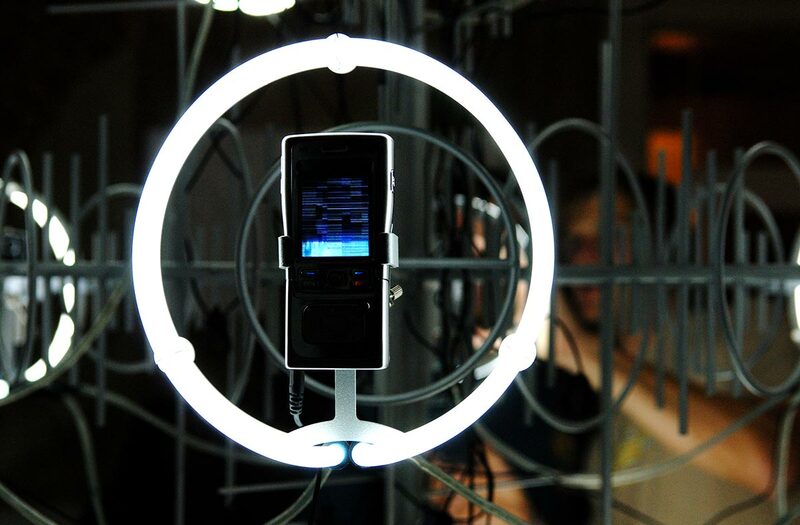 The guests can call these phones and trigger individual audio/video clips, appearing on the small displays. 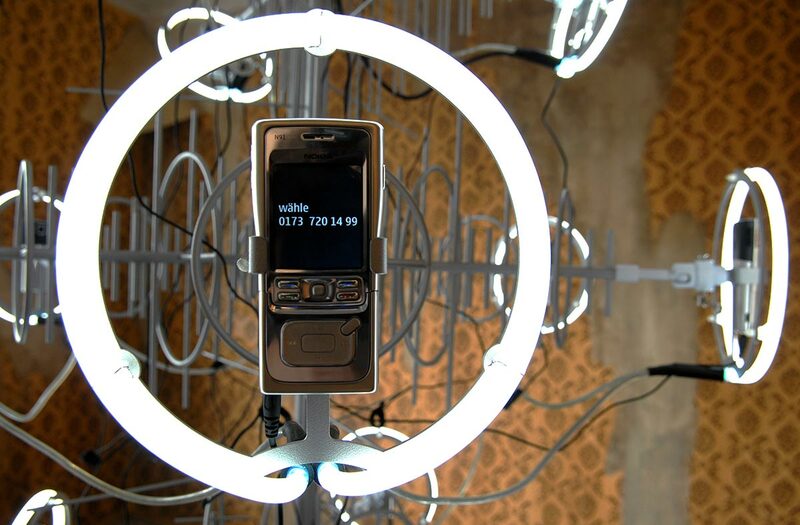 The timing of the incoming calls creates a unique sound composition in the room.